Orange Line is the name given to Delhi Metro Airport Express similar to Blue and Yellow Lines. If you have a flight from Terminal 3 (T3) of Indira Gandhi International Airport or a train to catch from New Delhi Railway Station then Airport Express is the best mode of transport. Airport Express metro route covers a distance of approximate 23 km and serves six stations viz. 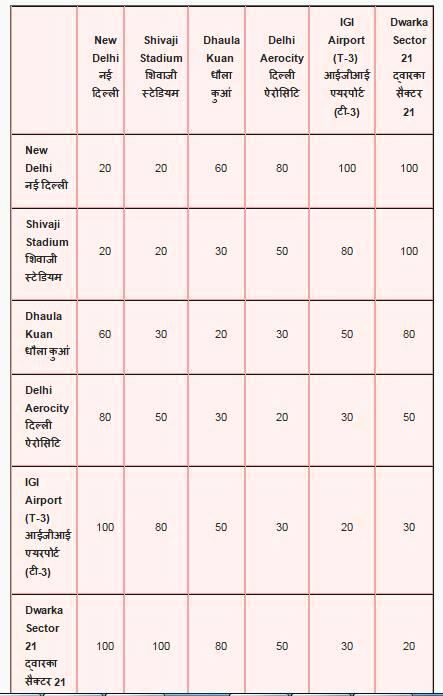 New Delhi, Shivaji Stadium, Dhaula Kuan, Delhi Aerocity, Airport and Dwarka Sec. 21. 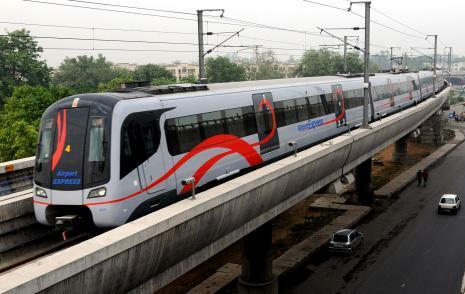 The Airport Express trains on Delhi Airport Metro route runs at a gap of 15 minutes. There is Check-in facility available for selected flights at New Delhi Metro Station from 6 hours to 2 hours before the schedule departure. Air India and Jet Airways have their check-in counters at New Delhi Metro Station.